I think there was some sort of debate last night, but the real debate is what comic is going to be the pick of the week for Thursday Morning Superhero. Avengers vs. X-Men came to an epic conclusion, which paves the way for Uncanny Avengers, Harvest continues to be a surprise hit that has new twists around the corner, and John Layman, the author of Chew, was given the reigns of the Batman Detective series. Another great week of comics is in the books and I wish that I had the income to buy them all. Let’s get started! Harvest #3 – A.J. Lieberman has really got something good going with this book. Dr. Dane is finally taking action and making good for his past indiscretions. Up against a foe that seems to have bought all of the right people, Dr. Dane leans on an old client to give him the support he needs to begin to take down this organ transplant ring. It was really refreshing to see Dr. Dane really man-up and begin to take action. He was once a doormat who was recruited because of his circumstance, and he is now taking matters into his own hands and attempting to make good. I am guessing it won’t be an easy road, but one I will enjoy watching him go down. 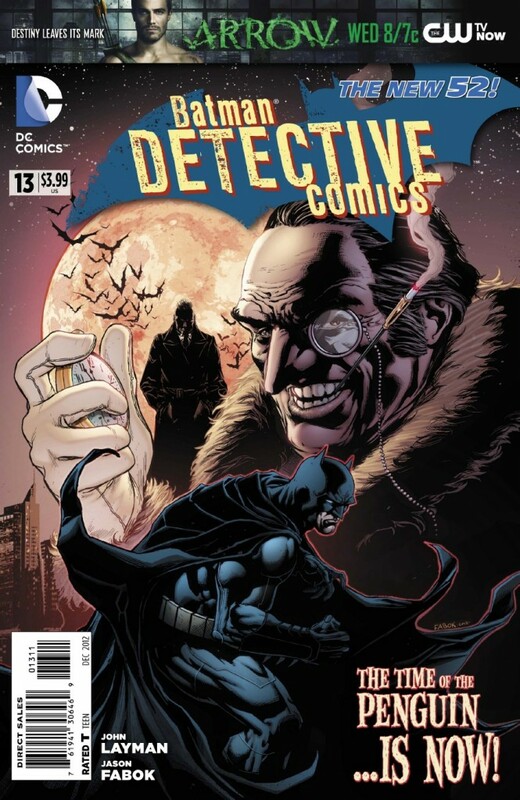 Batman Detective Comics #13 – John Layman + Batman = quality book. Penguin takes the reigns in his attempt to gain public favor by one-upping Bruce Wayne. He enlists the Ghost Dragons to assassinate Bruce Wayne and a crime spree to occupy Batman in order to allow his donation and his namesake be connected with a new children’s wing of hospital. Layman infuses his humor and wit in a manner that breathes new life into the Detective line. Sharp writing and the return of Penguin will keep me reading this book as it comes out. Really nice debut for Layman on Batman. Avengers vs. X-Men #12 – I was on board with this series at the beginning, but have since lost interest. I felt I had to finish this arc out and don’t know what to think. Charles Xavier is dead and Cyclops is in prison as society attempts to rebuild with an onset of new mutants. The Uncanny Avengers are born, in what I am sure will be a big hit, but ultimately I am disappointed with this story. Daredevil End of Days #1 – Brian Michael Bendis tells the tale of Daredevil and his downfall after murdering Kingpin. The book starts out fast and furious with a fight between Bullseye and Daredevil that ends tragically. Ben Urich struggles to tell this story for the nearly defunct Daily Bugle in what should be a great miniseries. The gritty art adds to the dark tale and I am ready for issue #2. Fatale #8 – Ed Brubaker begins a new arc in this series that is sure to please. Hansel is gaining strength and Josephine continues to impact anyone she comes in contact with. The mystery surrounding her seemingly endless past continue and Hansel grows into a formidable foe. Good series to get behind. 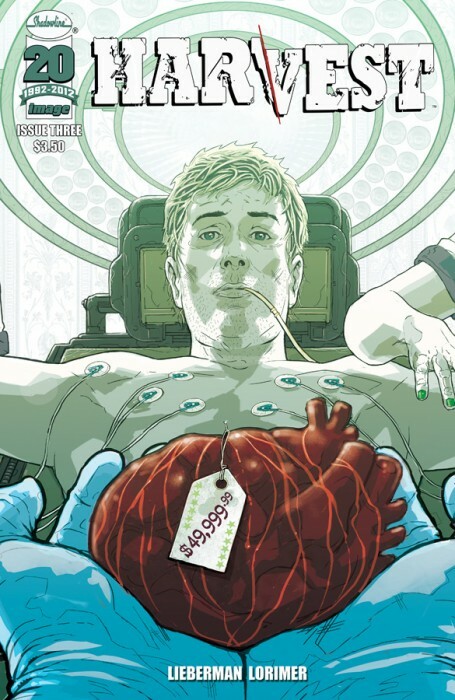 Minimum Carnage #1 – Cullen Bunn takes the reigns of the Carnage line in an interesting tale about the escape of Carnage from prison and his attempt to enter a subatomic universe, the Prometheus pit. Venom and Scarlet Spider are along for the ride, which should be a fun book. Swamp Thing #13 – Scott Snyder begins to introduce the reader to the rotworld in what seems to be a great book. There is a brewing battle between Green and the Rot that concludes with a Rot-infected Teen Titans? Maybe I should revisit this series. Non-Humans #1 – A virus has spread on earth that is giving life to inanimate objects, including toys. It is described as Bladerunner meets Toy Story. Maybe I really should pick this book up.